When German watchmaker Hans Wilsdorf decided to change the way people perceived timepieces, nobody, including Wilsdorf himself, could have imagined the multi-billion dollar company his vision would eventually create. Rolex is world-renowned for making the most accurate and luxurious watches, and it all started in 1905 when Wilsdorf set about designing the perfect wristwatch. Over a century later, Rolex still maintains the quest for perfection instilled by its founder, and is driven by the Swiss tradition of the highest quality of watch making. Wilsdorf did change people’s perception. Today, owning a Rolex wristwatch means owning the crÃ¨me de la crÃ¨me of all timepieces. Rolex has a long history and since its beginning people have always had their favorites. Although founded in London, England, Rolex watches have always been designed by Swiss technicians. The very first Rolex watches used innovation and parts designed by and manufactured in Bienne, Switzerland. The goal from the very beginning was to achieve “chronometric precision,” which meant that the Rolex wristwatch was nearly perfect when it came to its accuracy. Chronometric precision also meant the wristwatch’s workings were nearly flawless, and Rolex became the first watch to earn the Swiss Certificate of Chronometric Precision in 1910. 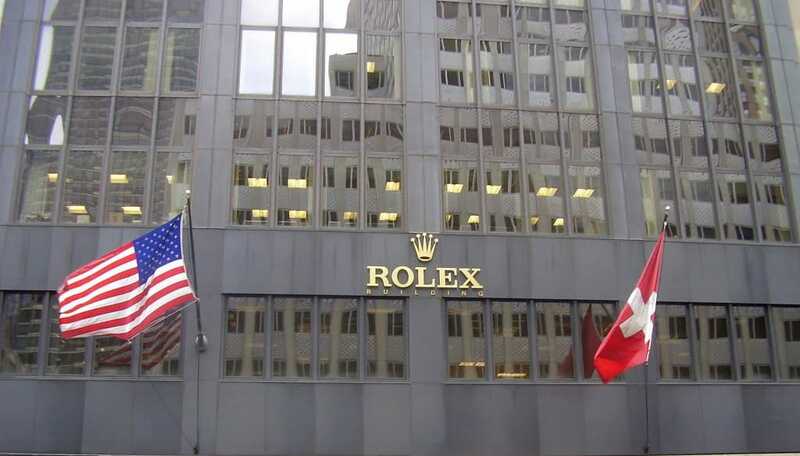 In 1920, Rolex moved its operations from London, England to Geneva, Switzerland. The move made perfect sense, as the company was being built around Swiss watch design. Ever innovative, the Swiss watch making company designed the first waterproof watch in 1926. Rolex proved its waterproof design worked when swimmer Mercedes Gleitze wore it during a 10-hour swim across the English Channel. Rolex continued its adventurous spirit by testing its watches during high-speed racing and on top of Mount Everest. Motorist Sir Malcolm Campbell commended Rolex in a 1935 letter, confirming his Rolex watch continued to keep perfect time, even during high-speed racing. Sir Edmund Hillary and Sherpa Tenzing Norgay sported Rolex watches on the first-ever Everest summit in 1953. This year also marked the design of the Rolex Submariner watch, which premiered a year later at the 1954 Swiss Watch Fair. Rolex Oyster Vintage Stainless Submariner 5512 is an amazing model. The Rolex Submariner series of watches were designed to go where no watch had ever gone before: underwater. Early models were waterproof down to depths of 330 feet, and the Rolex Submariner gave divers the ability to keep track of their immersion time. This was critical to the success of diving, as the divers could gauge accurately how long they had been underwater and when they needed to surface. Today, these watches remain waterproof at depths of 1,000 feet, giving divers the added protection of timekeeping in even deeper seas. The Rolex Submariner 16610 is the most recognized of the Submariner watch series. This watch is so popular, that is one of the most frequently counterfeited Rolex watches. 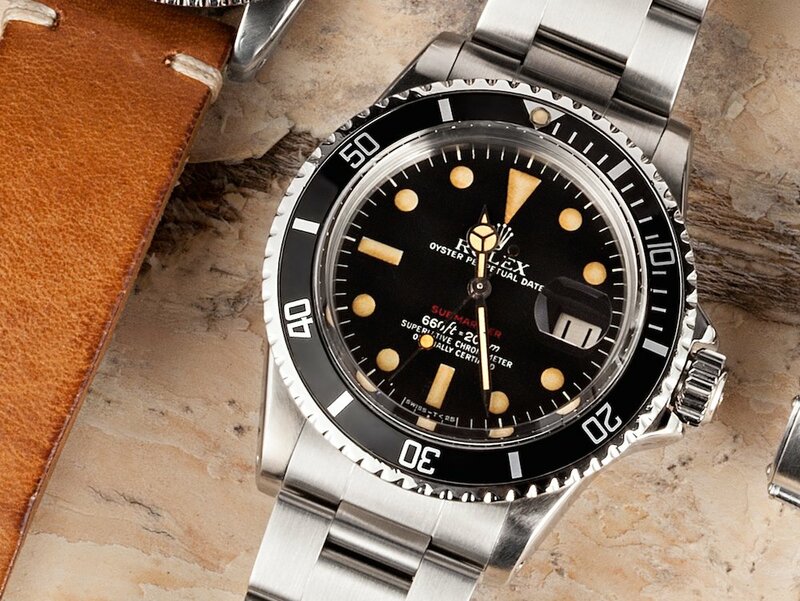 The Rolex Submariner 16610 began its production in 1989. Production ceased in 2010. Each Submariner 16610 is crafted from stainless steel, including the patented Rolex Oyster bracelet. The Submariner 16610 boasts a 40mm black dial with luminescent watch hands and white gold circle hour markers, all protected by scratch-resistant sapphire crystal. It also features automatic movement and date tracking, as well as a unidirectional rotatable time-lapse diver’s bezel. The most appreciated feature of the Rolex Submariner 16610, however, is its overall appearance and style. Many wearers note their love of its versatility. The watch is sporty and durably designed, enough so to be worn during scuba diving, yet it can also be worn to a black-tie event. This versatility gives consumers wishing to invest in a watch an easy choice, as the Submariner model can be worn anytime during the day or night. Submariner 16610 prices vary from approximately $5,000 to $10,000, depending on the quality of the used timepiece. Rolex unveiled the Rolex Submariner green 16610V in 2003 to celebrate the Submariner line’s 50th anniversary. This special-edition Rolex was discontinued in 2010, making it a valuable collector’s piece for any Rolex enthusiast. The Rolex Submariner green 16610V model took the traditional features of the Submariner 16610 and elegantly played them up – the unidirectional rotatable diver’s bezel is green. The model presented owners with a more colorful anniversary edition option, as the watch dial is also the color green. 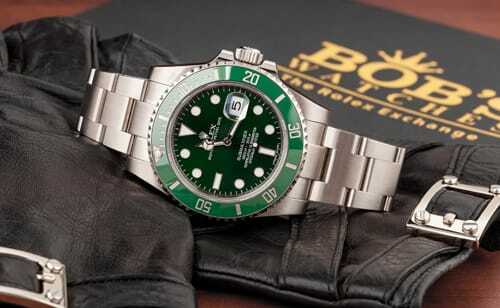 Rolex Submariner 116610LV “Hulk” is a popular model. 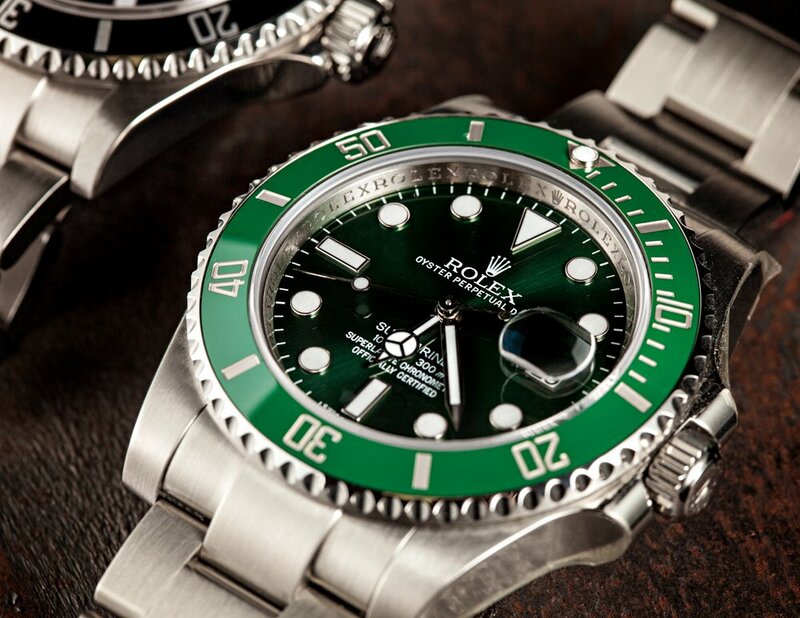 Either Submariner Green model is a collector’s piece, as each are limited-edition Rolex watches that are no longer in production. Collectors should plan to pay approximately $8,000 to $10,000 for a watch that is in mint condition. This is a fair price for such a unique timepiece, and industry experts agree the value of the anniversary watch will only increase over time. Investing in either the 16610V or 116610LV gives the owner a piece of Rolex history. The Rolex Submariner no date gives watch collectors a choice of black, blue, or silver dials. 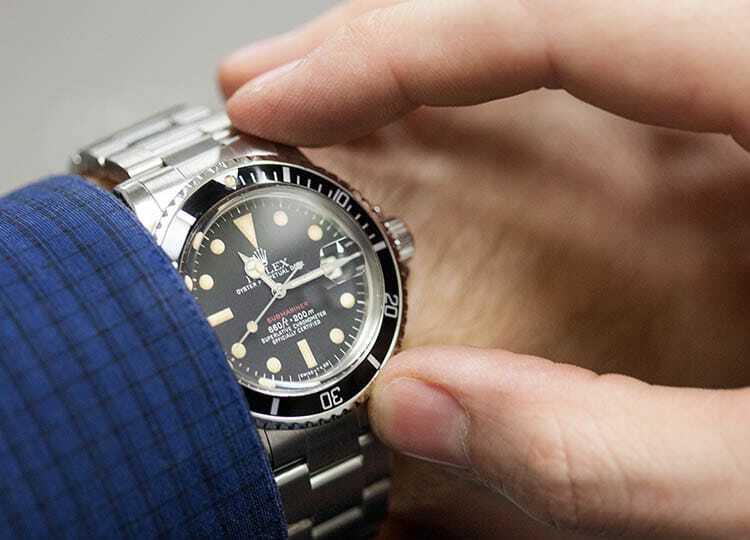 Popular models include the Submariner 14060 and the 114060. These models feature a ceramic time-lapse diver’s bezel that is fully rotatable. Other Rolex Submariner no date features include a stainless steel case and bracelet with an adjustable Glidelock clasp for easy tool-free adjustment over a wetsuit. Each Rolex Submariner no date case is also engraved with the watch’s serial number, providing additional protection against counterfeiting and fraud. The watch dials are protected with a scratch-resistant sapphire crystal, and both models feature automatic movement. A Rolex Submariner No Date ref. 114060 is one of the many popular choices between the Submariners. Another notable feature is its slender size. Both the bezel and the bracelet are slightly smaller and thinner than the Submariner 16610. Like many other Rolex watches, the models are expected to increase in value over time. Many collectors are anxious to purchase the Submariner no date, as it is already considered a classic. Current pricing ranges from $6,000 to $9,000. When Rolex designed the Swiss made Submariner Ceramic, it took a chance and made a sportier watch than the 16610. 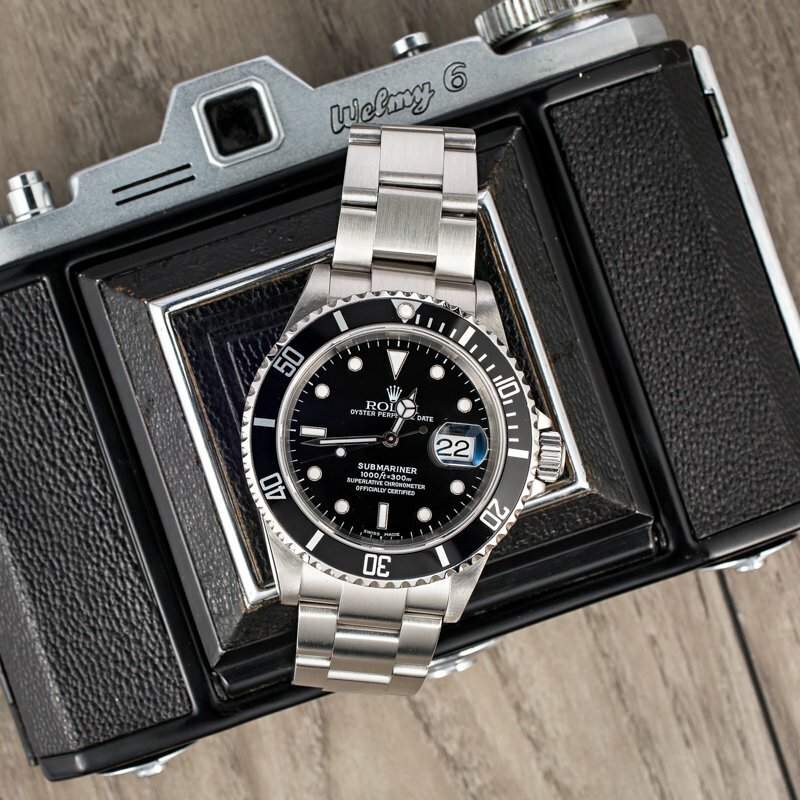 This risk has received mixed reviews, but the pros outweigh any perceived cons with the Rolex Submariner Ceramic, particularly the 116610 model. 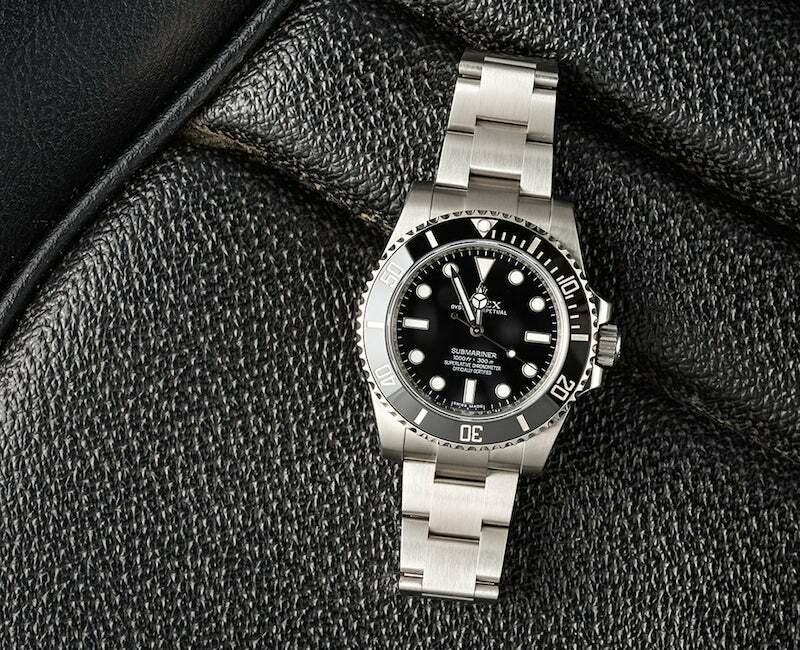 The Rolex Submariner Ceramic is made from a higher-grade stainless steel than the previous Submariner watches, and the bracelet links are solid rather than hollow, making them more durable and less likely to stretch. These two features alone are strong selling points for those looking to purchase a Submariner. The Rolex Submariner Ceramic clasp is another huge selling point to this watch. Using a patented Glidelock feature, the Submariner Ceramic 116610 model’s bracelet can be easily adjusted to fit the wearer’s bare wrist during leisure time, and fit over a diving suit during sea time. Rolex also increased the hands size and gave the traditionally dressy 16610 model a sporty overhaul with the 116610 version. The Submariner Ceramic is called such because the diver bezel is ceramic. Those interested in the Submariner Ceramic watch should plan to pay approximately $7,000 to $9,000. True collectors will not be satisfied until they purchase a vintage Rolex Submariner, and there are four specific models that stand above the rest. 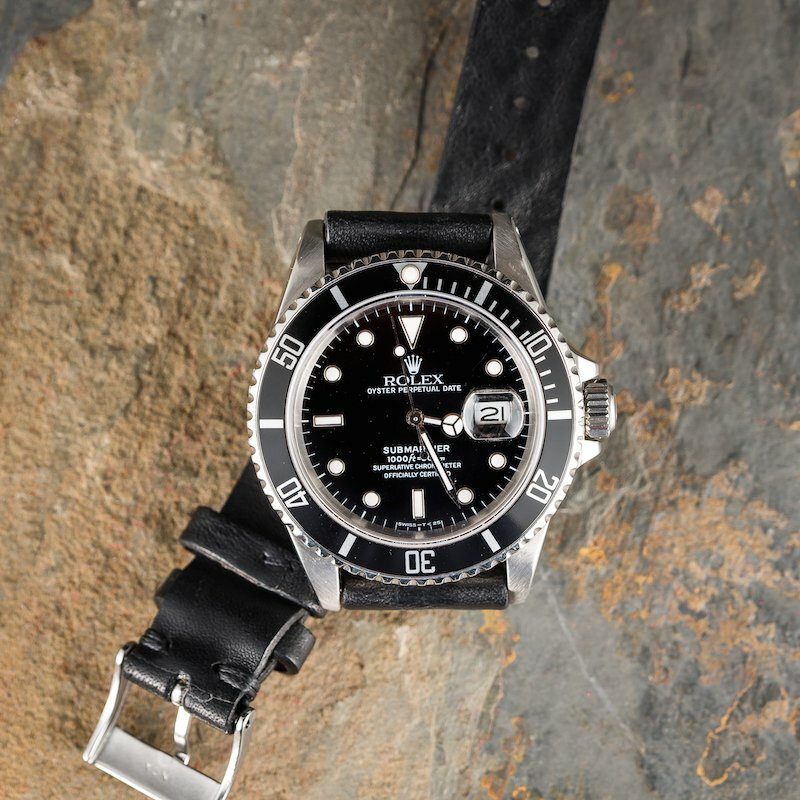 Vintage Submariner Models 1680, 5513, 6200, and 6538 are some of the most coveted watches by Rolex collectors worldwide, and with good reason. The Rolex Submariner 1680 was introduced to the public in 1966. A unique feature on this Rolex model is its 3mm domed crystal, rising much higher above the case and bezel than other Submariner models. Another unique feature is its Red Sub dial. The Vintage Rolex Submariner ref. 1680 is the best seller we have. James Bond made the Rolex Submariner 5513 famous, and this watch deserves all the attention it gets. The 5513 is a non-chronometer Rolex, making it truly one of a kind. Originally manufactured in the early 1960s, Rolex continued making the Vintage Rolex Submariner 5513 model through the 1980s. Some notable features on this model are pyramid-shaped shoulders on earlier versions, and rounded-shaped shoulders in the later models, protecting the watch’s winding mechanism. The Rolex Submariner Model 5513 also has an oversized crown. Vintage Rolex Submariner Models 6200 and 6538 are some of the original vintage models produced in 1954. The 6200 boasts the Mercedes hand set and an oversized winding crown. The 6538 is also considered an oversized crown model. Both vintage watches introduced the Submariner logo and included a depth rating that was printed on each dial. No matter what Vintage Submariner a collector is looking for, each watch is worth its price in gold. Depending on the uniqueness of the vintage watch and its condition, collectors might pay upwards of $25,000 for a true vintage Submariner.